We traveled to Chile for spring break largely because of Patagonia – one of the most beautiful destinations anywhere. But we quickly determined that Patagonia, and Torres del Paine National Park specifically, wouldn’t hold more than a few days’ worth of activities for the kids. So we added on Chile’s Atacama Desert for the second half of our trip. My post on Patagonia is here. In a perfect world we could have traveled directly from Patagonia to Atacama, but given their locations, that travel day would have involved a 4-hour drive from Tierra Patagonia to the Punta Arenas airport, a wait at the airport, a 3-hour flight to Santiago, a layover in Santiago, a 2-hour flight to Calama and then a 1-hour drive to Tierra Atacama. That’s a minimum of 12 hours depending on how the flights lined up – not an optimal travel day for anyone, and even less so when kids are involved. So we opted instead to fly from Punta Arenas to Santiago and spend two nights (one full day) in Santiago. 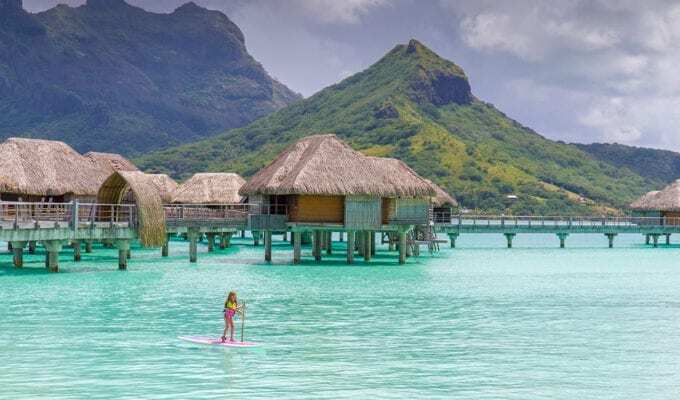 It was a good layover – the airport is close to the city so the transfer is only 15 minutes or so, and we based out of the Aubrey Hotel in the Bellavista neighborhood. We took the metro to Los Dominicos Village and spent a few hours exploring and getting lunch (empanadas of course), and otherwise relaxed at the hotel’s rooftop pool and wandered around Bellavista. We had an excellent dinner at Barrica 94, went to sleep, headed back to the airport and flew on to Calama. 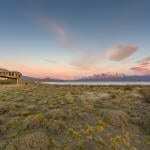 Given the flight and transfer time involved with Tierra Patagonia, the kids really appreciated that getting to the town of San Pedro de Atacama and our hotel, Tierra Atacama, only required a 2-hour flight and 1-hour drive. Just like in Patagonia, we started our visit by arranging excursions. 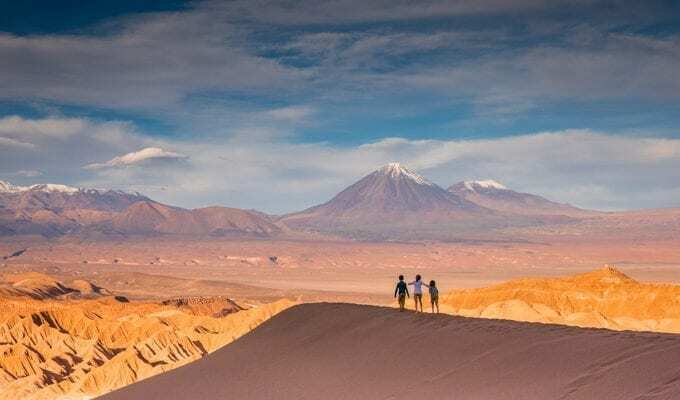 Juan Pablo (JP), Tierra Atacama’s excursion expert, recommended five excursions for us over three days, starting with two shorter half-day trips to get us acclimated to the altitude (2,500m). The hotel recommends those excursions for everyone. Then he scheduled two more half-day excursions our second day and an early-morning sunrise drive on day three. We would have the rest of day three free to relax and go into town. We left the hotel at 9:15 our first morning with two other guests and drove a few minutes to Moon Valley (Valle de la Luna). Juliet, our guide, first took us to an overlook and then led us to the desert floor where we walked through Moon Valley and learned about the dunes of the Atacama – some of which are rearranged every day by the wind and some that see the wind only every 5-10 years – as well as the salt and gypsum everywhere. The kids found this more interesting than my wife and I and rated this their third favorite activity in the desert and fourth favorite overall thing that they did in Chile. Walking through Moon Valley. Salt everywhere! After a break for lunch, we drove out again with Juliet to the Atacama Salt Flat (Salar de Atacama), roughly an hour from the hotel. In theory this sounded great (salt flats and flamingos! ), with snacks and drinks set out at sunset. In reality, the flats were rough and fairly uninteresting and there were very few flamingos around, other than as specks in the distance. We had snacks and drinks early and then headed back to the hotel before sunset. This was our least-favorite activity. The next morning things improved considerably. We drove maybe 45 minutes north to the Puritama Hot Springs with JP. The hot springs consist of eight warm pools, cascading into each other via waterfalls. This is a definite tourist attraction and we weren’t alone, but we still loved everything about our morning at the springs. We tried out five of the pools, all shallow to various extents and all beautiful. Pool two was our favorite, as it meandered far back through tall grasses. Five was the kid-friendliest, since it was uncrowded and the easiest for short legs to navigate. This was our second-favorite activity in Chile. Again after a lunch and some downtime at the hotel, we left with our guide Matti for Valle de la Muerte, less than 15 minutes from the hotel. This was our favorite spring break activity. The excursion started with an hour-long walk along the top of the valley, with the stunning volcanoes of the Andes in the distance. As we walked, the sand dunes of the valley got closer and closer to the top of the ridge until we were able to step right off and run down. This was kid heaven – dunes that you could run down without having to climb them in the first place. I tried my best to keep up with the kids and get photos, but really I was just enjoying the sand as well. At the bottom of the dunes we walked for maybe 10 minutes to the point where the van was waiting to take us back to the hotel. Note to Tierra Atacama: the canyon was stunning at sunset and it would have been more enjoyable to walk out the canyon for 20 minutes or so rather than drive through it. If we had had an extra day, I would have loved to have done this entire excursion again but with a sunset walk at the end. An hour and a half from the hotel are the El Tatio geysers – the third largest geyser field in the world. We woke up very early and left at 6:00am with Juliet, arriving well before sunrise. The steam of the geysers is most visible in the morning when the air is cold, so that’s the time to go – and seemingly everyone in San Pedro de Atacama knew this and was on the road with us heading to the geysers. I enjoyed this excursion, mainly because of the photography at sunrise. My kids, not so much. It was simply too early and too cold and they didn’t think that the long drive was worth it. We had a nice breakfast that Juliet and our driver arranged, complete with coffee and juices, but the kids preferred the heat of the van to walking around with me. The excursion got better on the way back to the hotel, when we saw more animals than we had seen the previous three days combined, including vicunas and guanacos (both llama-like animals) and viscachas, which resemble rabbits. The kids would have loved this excursion if it skipped the geysers and just focused on the animals! While not an official excursion, the small town of San Pedro de Atacama is only five minutes or so from Tierra Atacama. The hotel is happy to arrange transportation to/from town upon request, so we took advantage of that and roamed around the town for two hours our last afternoon. We actually could have stayed longer and had drinks somewhere, but otherwise two hours was plenty to see the central area and markets. Definitely spend a little time in town. Tip: the Pisco sour ice cream is very good, and only for adults! Tierra Atacama was a perfect place to stay. We were impressed by the food, the design of the hotel (it’s a National Geographic Unique Lodge of the World), the pool and the stars at night – so many stars! And while it’s not a hotel designed for kids, our kids loved it, and we were completely comfortable with them roaming around by themselves. The central game and computer area is a particularly nice touch – my kids spent most of their downtime there playing Jenga or at the pool. We stayed for four nights, but easily could have done five nights. The desert really impressed us. We would have loved to have done the Death Valley sand dunes hike a second time, and as we were packing up the kids all said that they weren’t ready to leave. Morning at Tierra Atacama. The Licancabur volcano is in the center. Tierra Atacama. We had the second and third rooms from the right. I discussed overall trip finance in my Patagonia post. For this portion of the trip, we purchased five Santiago to Calama round-trip tickets for $1,153 on Sky Airlines. We would have preferred LATAM to Sky as LATAM is an American Airlines partner, but the Sky schedule lined up better with our onward United flight to Houston. Tierra Atacama was $1,800/night after our 20% discount for booking seven total nights at Tierra properties (three at Tierra Patagonia and four at Tierra Atacama). Note: I received a media rate for part of our stay. 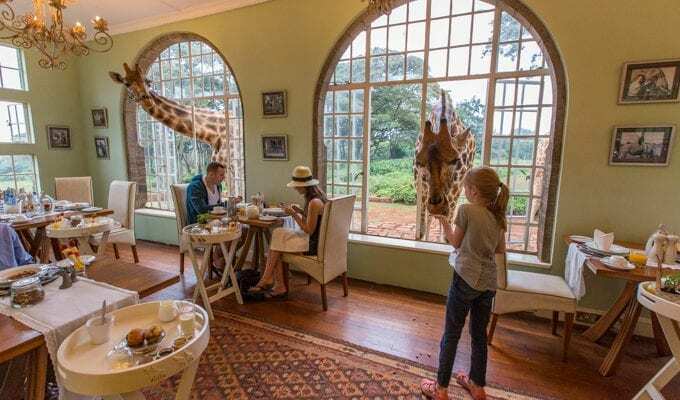 The best time to visit price-wise is July 1 to September 9, both in 2017 and 2018, as that’s their low season and kids stay free. 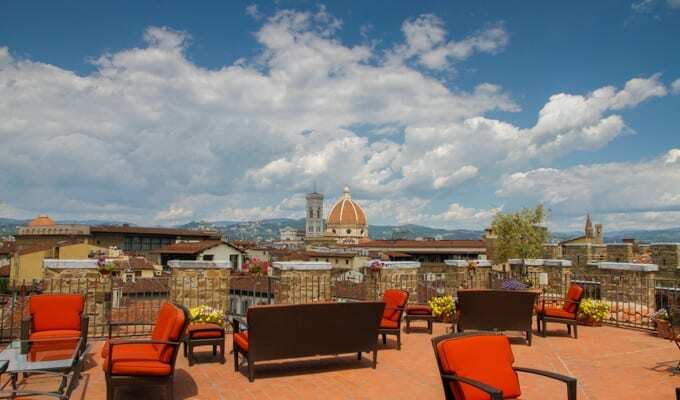 Pretty much everything is included in their standard rates, including airport transfers, food, wine and excursions. Premium wines are extra. Be prepared for everything! We were in shorts and t-shirts some days, but needed sweaters, winter coats and gloves for the visit to El Tatio geysers. Light hiking pants and shirts worked well for the desert walks. Wow! Pictures are Stunning. Great Read. Great post and photos. I am now thoroughly obsessed with the idea of Pisco sour ice cream. Às always love your posts from around the globe. Just got back from Namibia and I think you guys would love it based on this post. Great sand dunes, animals, wide vistas and the best star gazing. Our resident astrologer – we stayed at andBeyondSossusvlei – was a professor from Ny and he explained that the two best star gazing sites in the world are the Namib desert and the Atacama. Enjoy! Namibia has been at the top of my list for years! I’ve come close to booking trips but it just hasn’t worked out. Soon! Thanks for the reminder of why we want to go. This was really interesting. Those hot springs sound fantastic. Were they sulphur pools (could you smell the sulphur? I ask this as my daughter is allergic to sulphur.) On her wish list is the salt flats. Hopefully, she will find them more interesting. Your photo of the stars is incredible. I can’t imagine seeing a sky that clear. Thanks for all the tips. Thanks Eric. This is really good information. We plan to take a trip to Chile with our 3 yr old daughter and the list of places on our wish list are Atacama, Patagnoia, Santiago ..
but we only plan for 10-12 days so it would be great to get some suggestions from you as to which places are doable with toddlers in that many days. I read in your post that some hikes in atacama desserts were hour long so do you think they are doable with toddlers ? did u drive on ur own anywhere or did u hire a tour company every place ? Hi Bhumi. All of our excursions were through Tierra Patagonia and Tierra Atacama, and they provided guides and drivers. Pretty much all excursions involved a lot of walking, so three would be a tough age. I’d say six would be a better age if you want to explore and take advantage of everything. 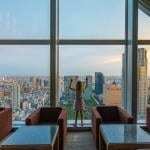 If you do want to go with a 3-year-old, as long as you have a private tour you could shorten/customize pretty much any of the excursions. You just wouldn’t see as much. Hello! I was wondering how many days are needed to visit the Atacama desert well, to see more or less all the attractions? 4-5 days would let you see most of the main sites. We stayed four nights and could have done one more. Just came across this post after reading your Jamaica entry. I’m a frequent visitor to Chile, as I have family there, but have yet to get to the Atacama or Patagonia. I am definitely putting that hotel on my list for Atacama accommodations. Can I also just say how much I love Los Dominicos? I make sure I go every time I’m in Santiago (much to the chagrin of my in-laws, haha) to buy local souvenirs/gifts! 1. Do you feel like you are also able to experience Chilean culture (not just nature) in the Atacama? 2. 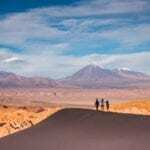 Can you do the Atacama without a guide and on more of a budget? 1) Yes, you’ll experience Chilean culture in the Atacama, but it’s a different culture than elsewhere in Chile. Patagonia, the Atacama, Santiago and Easter Island have the same flag, but they’re not alike. I’d recommend visiting several places. 2) Yes, we saw a lot of people in town booking individual day tours, and we saw families traveling around on their own. I am so happy I found your article, I am hoping this is the right way to comunicate with you. The main reason I am traveling to La Serena, in Chile taking Santiago my 8 year old grandson and his father, my 44 year old son in law is for Santiago to hear Spanish and get an appreciation of Latin culture. In La Serena I am staying with a friend who has two grandchildren, ages 9 and 11. My native language is Spanish and I am trying my hardest to give my grandson an appreciation of my language and culture. I took him last year for 3 weeks to Ecuador with his 11 year old brother, but they spoke to each other in English. My friend is nice enough to offer her home to us for 3 weeks but the last week I would like to go some place where we can see other parts of Chile. I am wondering where to go before returning to the USA. I am already disappointed that the only time we can travel is in July when the weather is cold. In La Serena we’ll basically be spending regular time with my friend at her home with her grandchildren and doing kids activities while my son in law works producing graphics for his company in California. Since the distances in Chile are great, we don’t want to spread ourselves from north to south, and a 2 hour drive is enough for an 8 year old boy. I thought of taking the bus from La Serena to Santiago and a tour to Valparaiso and Viña, but I am sure those places don’t hold any atraction to a child. Do you think that Santiago would enjoy more the Atacama dessert then Valparaiso and Viña? Is the capital worth spending a day? Any suggestion would be greatly appreciated. Muchas gracias from an eager abuelita. Hi Alicia – I apologize for the delay as I was unplugged in Brazil for a week. I’m not an expert on Chile at all. There are probably better people to ask? I’ve only been to Patagonia, Easter Island, and Atacama – once each – and Santiago twice. And we’ve never driven. I’d love to visit Valparaiso and Viña, but maybe not in the winter when the beaches won’t be inviting. I would think the Atacama Desert would be better, and more interesting for an 8-year-old. So much to see and explore. And the capital is nice for a day or two. There are good restaurants, playgrounds, the funicular, etc…, and it’s easy to get around. Great blog post. It resonated with our experience. We just got back from Tierra Atacama. Went through all the same trips as you did. Sand dunes were hands down our family favorite. We also would have liked to stay for five nights instead of four. In Patagonia, I would also recommend Camp Patagonia. One of their owners is the Tierra owner and the experience was amazing. Thanks! Patagonia Camp looks great. Did you stay in a family yurt? How many do they sleep?